I know, it’s been a while. A long while. A few weeks ago, my mom’s heart condition landed her in the hospital, and life has been a little topsy-turvey here since. Despite having my computer with me while I travel, I haven’t had the energy to post here. But this is an escape, and I need to allow myself a little more time to escape. 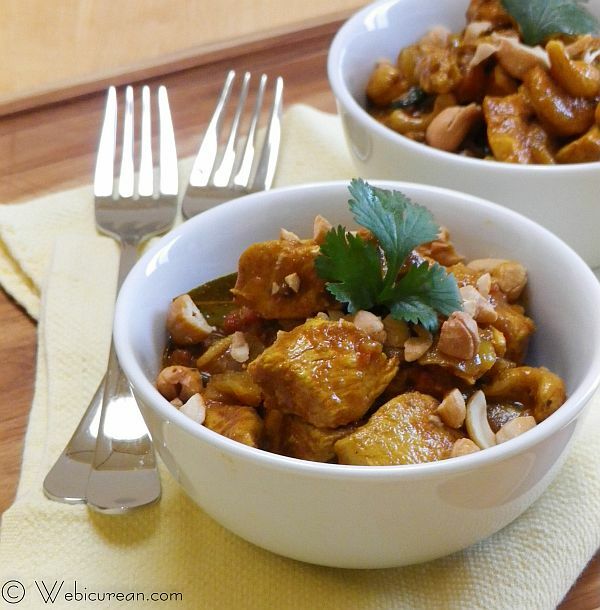 What better way to do so than to whip up one of our favorite treats–Chicken with Cashews. A while back, we realized we were spending way too much money on Indian take-out. As much as we love it, it’s expensive, and the portions are small in the grand scale of other take-out foods. How hard could it be to make? Morgan picked up a book, “5 Spices, 50 dishes,” which was an epic fail. Seriously, after trying several recipes, I couldn’t find one I’d make again. One mushroom dish was so bad we actually tossed it. I nearly threw in the towel. Then one day at the ever fabulous Copperfield’s Books, I picked up Meena Pathak Celebrates Indian Cooking on a whim. Granted, many of the recipes are streamlined using Patak‘s pastes, but the end results are quite impressive. The book begins with basic Indian techniques and recipes, including how to make your own garam marsala as well as some pastes and curry bases. The Indian puffed bread in this section was fantastic and surprisingly easy to make. Of course we delved right into restaurant favorites such as raj korma and Badshai biryani, both of which were as good as if not better than their take-out counterparts. 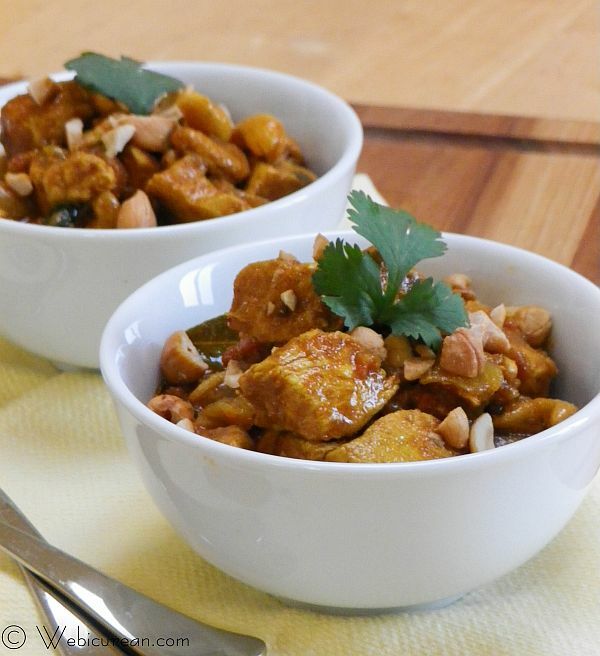 The pan-fried potato masala is another favorite too, but the dish we make most often is this chicken with cashews. What we love about this one is that it’s cooked in a tomato based sauce rather than cream, making it lighter, with the cashews adding just the right amount of richness. What’s more, we’ve made this several times substituting eggplant for the chicken, and it received nothing but rave reviews from our vegetarian friends. Patak’s pastes can be found in most gourmet grocery stores, but the real secret is that if you have an Indian store in your area, you can get it there for about half the price ($3.50 vs $6.00).Â This recipe was adapted from Meena Pathak’s book. Serve with plenty of warm naan or like we do with some white rice. Either way, you’re sure to enjoy it. Heat the oil in a large frying pan over medium-high heat, and add the bay leaves, coriander seeds, and mace along with the chopped onions. Saute the onions until translucent then add the tomatoes. 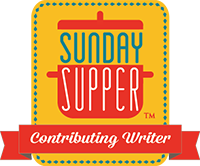 Continue to cook for an additional 2-3 minutes, then stir in the tumeric, cumin, ginger, garlic, and curry paste. Allow this to cook for an additional 5 minutes. Chop the chicken into 1-inch cubes, then stir into the pan, thoroughly coating all the chicken with the curry mixture. Reduce heat, cover and simmer for about 25 minutes. Once the chicken is cooked through, add in the cashews, just to heat through. Sprinkle with the chopped cilantro and serve. *Turn this into a vegetarian dish by substituting eggplant for the chicken--it's awesome that way too! Note: I earn a modest commission on any purchasesÂ made via the amazon.com links on this page. That looks delectable. I’m hungry for breakfast and I’m already thinking about dinner! This recipe is outstanding! Thanks for sharing.